I had always thought today’s Beantown Baseball Birthday Celebrant got his nickname of “Jumping Joe” from his ability to leap high and snare line drives hit at his hot-corner position. Then I researched his career and found out that was not the reason after all. 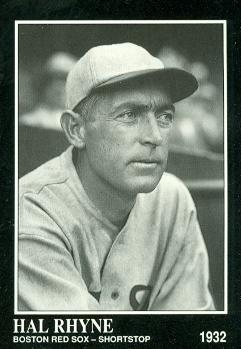 Joe Dugan had spent the first five seasons of his big league career playing three different infield positions for Connie Mack’s Philadelphia A’s. Just 20 years old when he made his debut, Dugan was probably not yet mature enough to withstand the razzing big league players took back then from their own home crowds whenever they made a mistake or failed to produce in a clutch situation. Dugan’s response mechanism was to just not show up for the next game, or two, or three. That’s right, he’d just jump the team. Eventually, Connie Mack grew tired of Dugan’s behavior and dealt him in a January, 1922 three-team trade that landed the former Torrington, Connecticut high school star in Boston, wearing a Red Sox uniform. The change of scenery did wonders for him. Boston manager Hugh Duffy used his newest infielder at both third and short and after 84 games, Dugan was averaging a very productive .287 for a very bad Boston team that was going nowhere but down to the bottom of the AL standings. On July 23, 1922, Boston owner Harry Frazee did what he did best. He helped the Yankees get better and his Red Sox get worse by trading Dugan and outfielder Elmer Smith to New York for 50,000 Yankee dollars and a future two-time batting champion named Lefty O’Doul. Of course, O’Doul would win this batting titles after the Red Sox gave up on him as well. Reaction to the trade from the other AL owners was swift, loud and angry. In fact, it was this trade that eventually led to baseball’s first intra-league trading deadline in 1924. Dugan went on to spend the next seven seasons with New York, win three World Series and stop his “jumping” once and for all. Though the quality of baseball played at Fenway Park got gradually worse throughout the 1950’s, you couldn’t blame it on Tom Yawkey, the team’s owner back then, being cheap. He spent hundreds of thousands of dollars during that decade signing high school baseball stars who were anointed with “can’t miss” labels by Red Sox scouts. Those scouts, however, must have been reading newspapers or bird-watching in the stands during high school games instead of watching some of these bonus babies hit, run and field, because too many of their glowing reports on these sure-thing prospects turned out to be more fiction than fact. In the case of South Carolina native, Don Buddin, the culprit was Boston scout Mace Brown. Buddin was a high school football star who could have gone to just about any major college in the south on a football scholarship. But he was also a very heavily scouted high school baseball player so when Brown got him to sign with the Red Sox for $50,000 in 1952, it was considered a real coup for the Boston franchise. Three seasons later, he had progressed to Boston’s top farm club in Louisville, which was being managed at the time by Pinky Higgins, who fell in love with his new shortstop and became one of his biggest career advocates. What everyone was ignoring about this kid was the fact that he was making an alarmingly high number of errors at short (164 during his first three seasons in the minors.) Buddin did have a good bat, decent power, especially for a shortstop and a great eye for the strike zone. 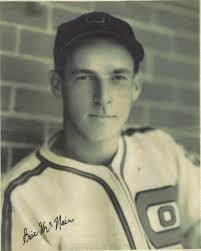 It was his offensive ability that got Buddin to the big leagues by the 1956 season, when he was 22-years-old. Of course. it didn’t hurt that Higgins had been promoted to the Red Sox’ skipper position by then, which may also help explain how Buddin won the parent club’s starting shortstop’s job as a rookie that year. That first year Buddin had a tough time tackling big league pitching, averaging just .239. 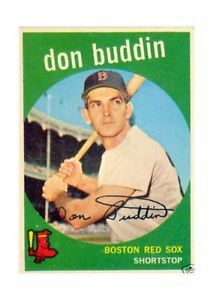 Of course back in the fifties, big league shortstops were not paid to hit and when you added in Buddin’s 65 rookie season walks, his on base percentage was actually considered to be very good for someone who played his position. The problem again was Buddin’s defense. He made 29 errors in the 113 games he played as a rookie but Higgins insisted this young man would get better with more games under his belt. Unfortunately, Buddin didn’t get to play any games in 1957 because he was drafted and served a year in the military. When he returned in 1958, his error prone glove came back with him. Buddin committed 31 more fielding miscues that season and the Fenway faithful began booing his defensive lapses. When he made 35 more the following year, the boos grew louder and the derisive nickname “Bootin Buddin” began to take a firm hold in and around Boston baseball circles. Higgins stuck with Buddin because of his ability to get on base and his ability to pop a ball out of the park every now and then. He hit 12 home runs in 1958 and a 10 more the following season. But the errors continued unabated and when Buddin’s offensive numbers lagged in both 1960 and ’61, the Red Sox gave up on him, trading him to the just formed Houston club in the expanding National League in November of 1961 for shortstop Eddie Bressoud. After one terrible year with the Colt-45’s and another bad one for the Tigers, Buddin’s big league playing career was over by 1962. This guy is right there in the mix with Cronin, Petrocelli and Garciaparra for the title of all-time greatest Red Sox shortstop. They called him “the Rooster” because of his red hair and his pointy profile but the nickname also fit because he’d do whatever he had to do to beat you, including scratching your eyes out. 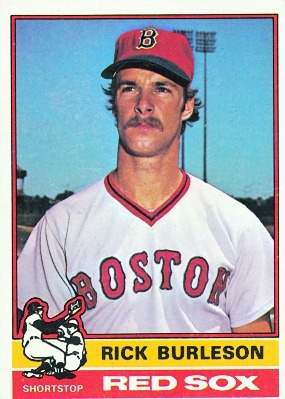 There has never been a Red Sox who hated to lose more than Rick Burleson did. The Red Sox grabbed him out of his California High School with their first round pick in the secondary phase of the 1970 amateur draft and it took him four years to work his way up Boston’s ladder of farm clubs. In 1974 he battled a full season with Mario Guerrero for the right to become Luis Aparicio’s successor as the Red Sox starting shortstop. By Opening Day of 1975 the job was his alone and at 24 years of age he became a leader of a Boston ball club that just kept on winning until the final game of that year’s World Series. He had no superstar skills but no real weaknesses either and just kept making all the plays in the field and grinding his way on base. His best year in Boston was 1977 when he reached 194 hits and a .293 batting average, both career highs. His immense value to the team was best proved by his absence due to injury during July and August of the 1978 season. When he left the lineup the Red Sox were dominating the AL East. By the time he returned to the lineup, the Yankees had gotten back into it. He made three All Star teams as a Red Sox and won the 1979 Gold Glove. His contract was expiring in 1981 and the Boston front office was a mess under the direction of Haywood Sullivan. They were offering Burleson about half the amount he wanted to sign and when they couldn’t get it done by the end of the 1980 season, they traded him and Butch Hobson to the Angels for Mark Clear, Carney Lansford and Rick Miller. After a strong first year with California during the strike-shortened season of 1981, Burleson tore his rotator cuff early in 1982 and the injury effectively ended his career. He hung on for a few more seasons and then became a highly repeated big league coach and minor league field boss. This Oregon native was a collegiate All American infielder at Stanford before being selected by the Red Sox in the first round of the 2005 amateur draft. 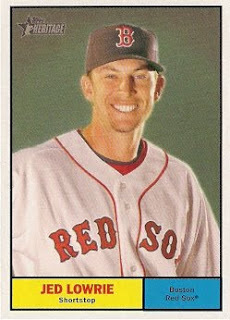 After three year’s in Boston’s farm system, he made his big league debut in April of 2008. When Julio Lugo, the Red Sox starting shortstop suffered a season ending injury in July of that season, Lowrie and Alex Cora shared the position for the rest of the year, with the switch-hitting Lowrie getting more playing time. In 81 games, the rookie hit a productive .258, driving in 46 runs. 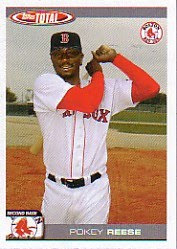 Going into the 2009 season, I thought this guy was definitely Boston’s new starting shortstop but he injured his wrist early in the season. After surgery to repair it, Lowrie never got healthy enough to contribute much to that year’s ball club. In 2010, he was felled by a bad case of mononucleosis but once again showed signs of his strong offensive potential when healthy, by hitting .287 with 9 home runs in just 171 at bats that year. In 2011, Terry Francona platooned Lowrie at short with Marco Scutaro and then that December, they traded him to the Astros for Houston’s closer Mark Melancon. I was surprised Boston gave up on Lowrie’s upside at the time the deal was made but I did like Melancon’s potential as well and I knew the Red Sox had to replace Jon Papelbon, who was heading to Philadelphia as a free agent. As it turned out, it appears as if I was right about both Lowrie and Melancon’s potential. Both players had stellar seasons in 2013. Unfortunately, neither was wearing a Red Sox uniform at the time. This California-born shortstop was a star in the Pacific Coast League for several seasons before making his big league debut with the Pirates in 1926. Even though the average size of players back then was smaller than it is now, the 5’8″ Rhyne was still considered small for a big league infielder. After two years with Pittsburgh, he returned to the PCL and belted 216 hits in 185 games for the San Francisco Seals in 1928. He caught the attention of several AL teams and ended up in Boston, where he became the Red Sox’ starting shortstop in 1929. Unfortunately for Rhyne, the three years he held that position were three pretty terrible seasons in Boston’s franchise history. The team’s best record during his time with the Red Sox was 62-90 and their best finish was sixth place. Rhyne’s best season for Boston was 1931, when he hit .273 and drove in 51 runs. He actually finished 14th in the AL MVP voting that season. After the 1932 season, he was traded to the White Sox. 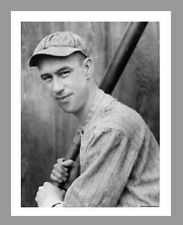 He played one more season as Chicago’s utility infielder and then headed back to San Francisco, where he continued playing for the Seals until 1940, finally fully retiring as a player at the age of 41.